Organisations face challenge to deal with significant volumes of constantly growing and diverse incoming mail. How can businesses manage this communication between itself and external stakeholders more effectively? The answer lies with an Electronic Mailroom Automation Solution. 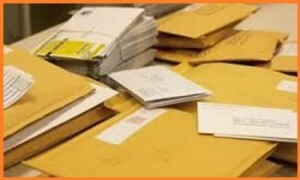 360 Solutions’ team can assist the organizations in the GCC and UAE in particular with mailroom automation- by analyzing the existing processes, suggesting and implementing an appropriate mailroom solution to automate the classification and extraction of all incoming mail.The solution allows the clients to capture, route and process important information as soon as it enters the company with a single information handling process. This dramatically reduces the amount of paper circulating the offices as this is handled electronically. How does mailroom automation solutions work? All incoming correspondence, including paper, fax and email, is captured electronically at its point of entry in the mailroom. The mail is digitized, classified by type and content is automatically extracted. Information can then be routed, prioritized and escalated automatically based on the business rules so the users will quickly receive relevant information. This reduces data entry work, improves accuracy, cuts cycle times and gives managers instant access to business information from their desktop. The Mailroom Automation Solution can sort and deliver incoming mail, scheduled mail runs within the organization, maintaining logs for tracking and reconciliation purposes, logging, transmission, receipt and timely distribution of faxes, etc.